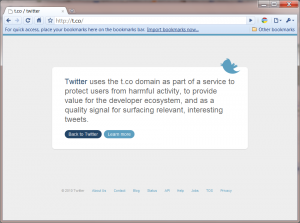 Just another proof that short URLs have extraordinary value. With just four characters it is certainly a hit. Though, j.mp and a.ly, both part of bit.ly, probably a better when it comes to jingling. This will probably kill bit.ly. But how will it work on sms then? They will probably use t.co and fit it in the other 20 characters. Now, the short links are in the order of extra six characters: http://t.co/xxxxxx – making it all 17 chars. Have you noticed those fancy new http://X.CO/ links we’ve been using? Did you know you can use it too? You can, and you can even make your own vanity URLs if you’re logged in. Go check it out, and let me see a show of hands (or a click of that Like button) from everyone who gives it a try. The .Co registry just announced today that Godaddy.com has been awarded X.Co. This is the 4th single letter .co to be released. E.co sold for $81,000 in a charity auction sponsored by the .Co registry. 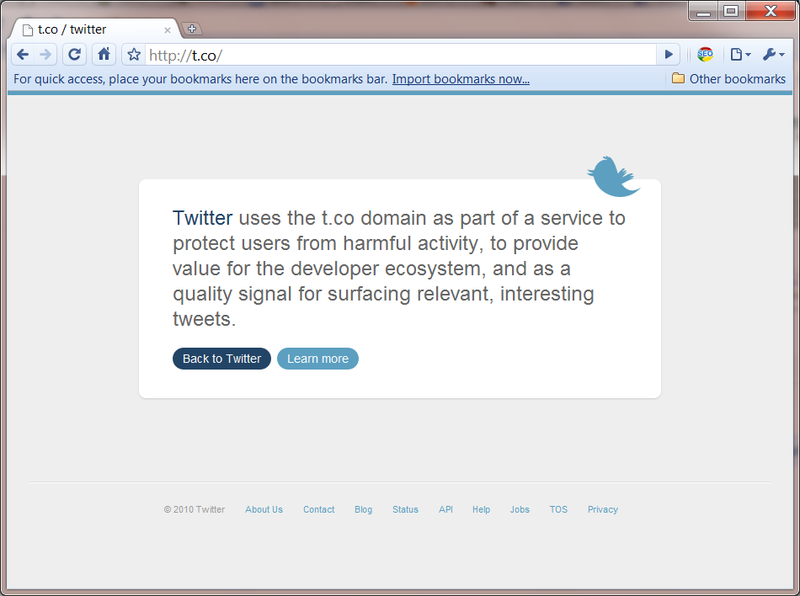 Twitter was granted T.Co to use as a shortener. OverStock paid $350,000 for O.Co. X.Co is already up and running at Godaddy.com.